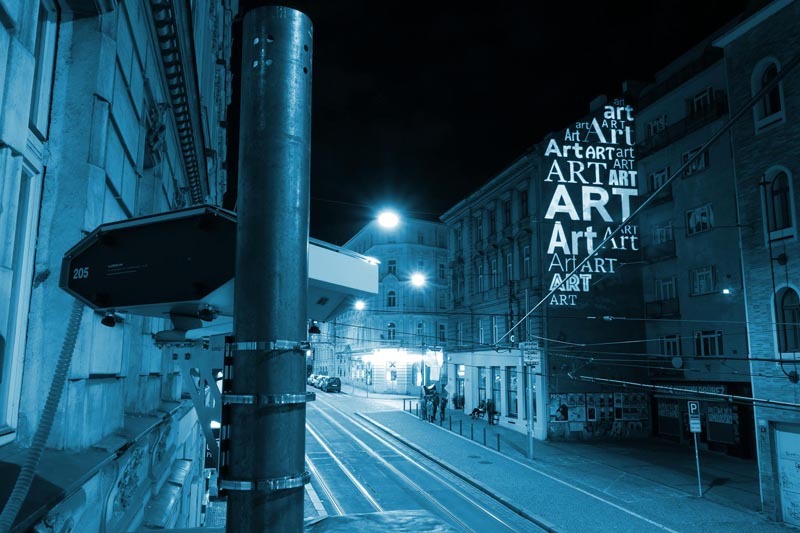 The first outside gallery was launched in Prague last week. Thus, since 11 August 2016, the Czech Republic’s capital now offers yet another interesting attraction to all visitors. The experimental space, called LumiVerse, will introduce various kinds of art free of charge. The LumiVerse project is situated on “Milady Horáková” street in Prague 7. 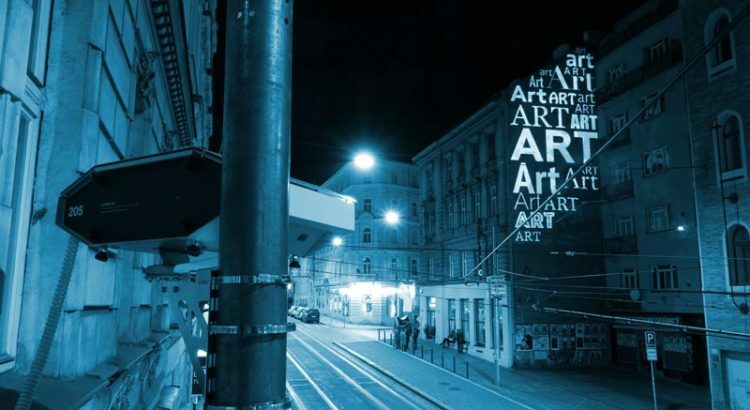 It is initiated by Lumitrix, a Czech company, which developed a special outdoor-use projector, allowing them to screen videos and pictures on basically any urban surface for an almost unlimited time. The experimental mapping gallery, the creators’ name for their project, starts off with the works of independent artists Frances Sander and Anastasia Serdyuk. Frances Sander, together with Dmitri Berzon, introduces experimental art, combining figurative drawing with modern media. They attempt to free the art of drawing or painting from the canvas and create screened images in real time and in any space. Anastasia Serdyuk uses the LumiVerse outdoor gallery for introducing her art focused on nature and creating with hands. In September, the project will continue on the “Nábřeží Kapitána Jaroše” embankment, this time with a permanent screening to accompany the “Lunchmeat” festival of high-tech digital music and new media. The aim of the LumiVerse is to popularize the phenomenon of permanent projection mapping. The project turns urban walls into a space continually presenting modern art, and thus livens up the public space. Yet another interesting feature is that anyone can offer their art to the project curators. The Slav Epic Finally Permanently Moving to Prague?